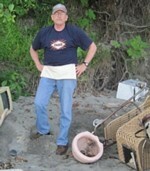 Odyssey Newsletter - Dumping On Beach? How is summer going for all of you in the Northern Hemisphere? Or winter for y'all down under? Lin and I have been able to get to the beach at least once or twice a week, so we are pretty happy about that. The weather has generally been good here in the USA Pacific Northwest, but really not summer weather - quite cold for bones that are used to the tropics. 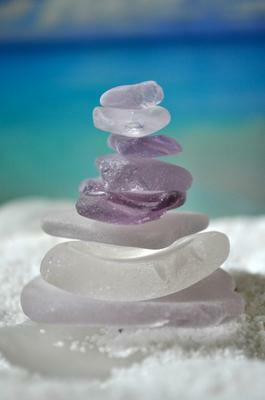 July Sea Glass Photo Contest - Vote Now! 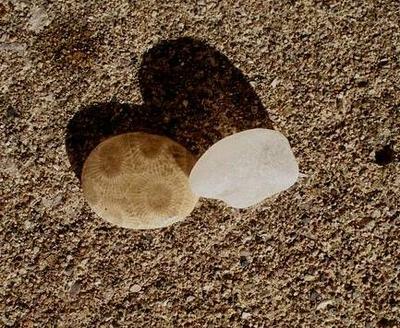 It's getting to the end of July and most of the photos are in for the Odyssey Sea Glass photo contest this month. Check out the pages for the following photos and vote on the one(s) you like most. 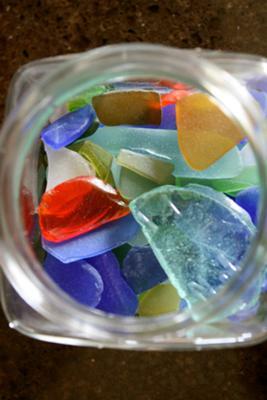 As mentioned in our last newsletter, Lin and I plan to write several eBooks on sea glass. Each one will address a certain area of importance to collectors. 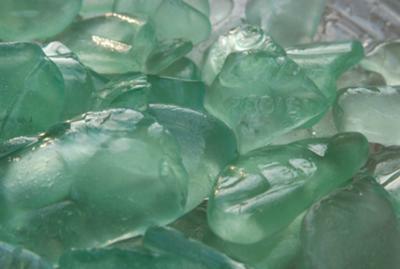 We asked what you would like to see in a book about Sea Glass, but got only 2 responses! 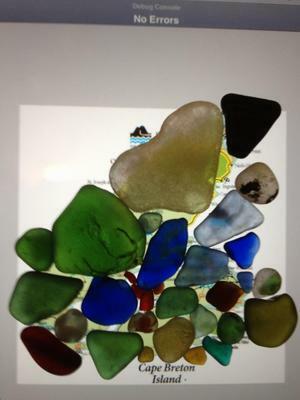 What would you like to see in an eBook about Sea Glass? 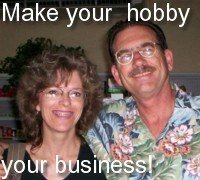 Contact Lin and David with your suggestions ASAP. The sooner we know what you want, the quicker we can get started on it. 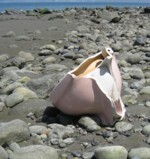 In our next-to-last "regular" newsletter, we ran an article titled, "Garbage on Beach - Ouch!" We have photos of the really good sea glass beach that stretches from North Beach to McGurdy Point near Port Townsend, Washington, USA. This stretch of beach along the Strait of San Juan de Fuca is lined with sandstone bluffs towering nearly vertically up to 100 feet high in places. Historically, there were several actual dumps along this 3-mile stretch of coastline. These old dumps are still producing very nice sea glass. 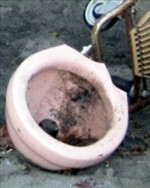 Now, we have found that dumping continues. Whether this is intentional or not is unsure. It could be a result of not-so-old dumps on top of the bluff falling onto the narrow beach due to the continuing wave action and erosion. However, it does provide an active study of what happens to stuff dumped onto a salt water beach. 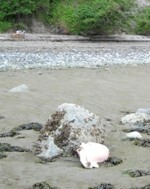 On June 29, 2012, about half way between North Beach and McCurdy Point, as we stumbled along looking for sea glass, Lin and I noticed trash that had fallen/been dumped from the nearly-vertical bluffs 10 stories above us. I decided to try to follow the desintegration of the toilet. At this point, the toilet was very near the high tide line. July 2, 2012. Since the toilet is made of ceramic material, it's path to the future would be similar to a bottle or other glassware. This area has consistent but small wave action. Yet the tides and waves have carried the toilet far below the tide line (very low tide this day). July 6, 2012. Another very low tide. As you can see, just 4 days later, the tides have moved from the toiled down from the sandy area into the extreme low tide rocks. July 17, 2012. Again, very low tide, but more sand has moved in. The toilet is no longer visible. All that we can find is about 3 pieces of it's body. The toilet has disappeared completely. Again, no visible toilet. It has either been carried offshore or has been buried in the sand. What can we learn from this brief journey of an entire toilet from a high-tide-line dump to disappearance? First and most interest is that the forces affecting a beach area can carry huge amounts of glass in and out with tides and waves. Second, there's a lot of action. 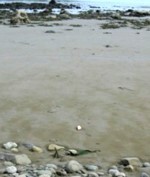 A piece of glass lying on the surface is exposed to 4 tide changes a day. This could grind down glass quite rapidly on a beach that has rocks and pebbles. Third, this shows how much a beach can change in a few days. A beach that is has glass one day (in sand mixed with pebbles) can have no glass visible on another day (tides have moved sand and pebbles offshore). 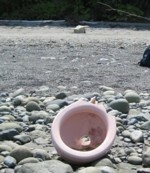 Since Lin and I frequent this beach, we will keep an eye out for pieces of the toilet. 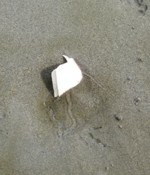 Hopefully some will show up and we can document its reduction to shards and the beginning of real sea glass.